NEW YORK and COLUMBUS, Ohio, September 21, 2012 – Interactive Q&amp;A discussions with all the event's top celebrities, superstar artist sessions and costume contests for adults and children are among the highlights on the special programming schedule at Wizard World Ohio Comic Con, set for Sept.
LOS ANGELES, CA - For the second year in a row, Tsuyoshi Nonaka will be a guest at Pacific Media Expo 2012 at the LAX Hilton. Mr. Nonaka will be meeting his fans at PMX’s Artist Market and participating in a focus and press panel. Ramencon, a small convention hosted in the small Chicago suburb of Merrillville, Indiana, raised over $1900 for charity on Friday. All money raised the charity auction would go to St. Jude's, "for the children," according to the chairman. LOS ANGELES, CA-- Pacific Media Expo 2012 is proud to announce Mamoru Yokota as this year’s Anime Guest of Honor. Mr. Yokota will be participating in a focus panel and autograph session. This will mark his first ever appearance at Pacific Media Expo. 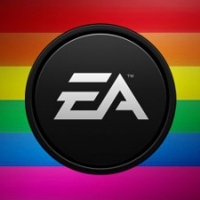 GaymerCon, the first ever announced "gay gaming convention," announced today that game publisher EA will be involved in the 2013 convention. The press release did not specify the level of EA's expected involvement, but GaymerCon also cites recent support from XBox Live, and the President of Penny Arcade. 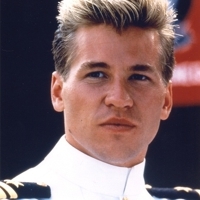 NEW YORK and COLUMBUS, Ohio, September 19, 2012 – With memorable, starring roles in such films as Batman Forever, Top Gun and Tombstone, Val Kilmer has been one of the most prolific, successful actors of the past quarter century. Earlier today, Anime-ZAP. 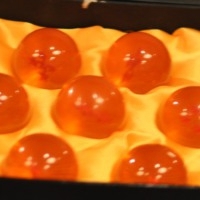 announced that martial arts instructor Daniel Coglan and his wife Jillian Coglan will be guests at Anime-ZAP. 's fourth year convention. 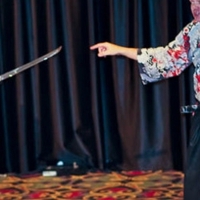 Samurai Dan and his wife who have been teaching samurai martial arts for the past two decades at their dojo in Iowa. 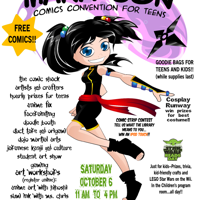 Bradenton, FL (September 13, 2012) – The Manatee County Central Library is pleased to announce its third annual Mana-Con: Comics Convention for Teens to be held at the library on Saturday, October 6, 2012 starting at 11:00 a.
Bloomington, MN - September 11, 2012 - The Minneapolis anime convention, AniMinneapolis, announced today that voice actor Sonny Strait will be attending in 2013. 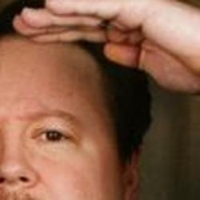 Sonny Strait is best known for voices such as the original Tom from Toonami, Lupin the III, and Maes Hughes in Fullmetal Alchemist. 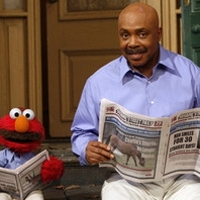 Norwalk, CT, September 10, 2012: New York Comic Con (NYCC) officials today announced that Sesame Street’s Elmo, the 3 and a half-year-old monster with the high pitched voice and contagious giggle, will appear at the show along with his good friend Gordon (Roscoe Orman).